We aimed to assess a key risk factor for lung cancer, smoking, in a vulnerable group, Chinese livery drivers in New York City (NYC). This is a nested cohort study conducted in the summer/fall of 2014 within a larger NIMHD-funded R24 program, the Taxi Network. The Taxi Network Needs Assessment (TNNA) survey was administered to a broad demographic of drivers. This study reports on the TNNA survey smoking-related results among NYC Chinese livery drivers. 97 drivers participated. Mean age was 44.7 years, 2.1% were English proficient, and 23.4% were living below the poverty line. Most were insured (82.5%), had a PCP (82.5%), and had had a routine check-up within the past year (79%). 73% were current or former smokers. Culturally and linguistically tailored smoking cessation interventions, strategies to mitigate exposure to air pollution, and programs to facilitate lung cancer screening should be developed and implemented for high-risk Chinese livery drivers. This publication was supported by the National Institutes of Health under Award Numbers R24MD008058, U01MD010648, and P30CA008748. The content is solely the responsibility of the authors and does not necessarily represent the official views of the National Institutes of Health. J. Leng conceived and supervised the study, and led the writing; L. Lei, S.F. Lei, Z. Zhu, N. Mo, and B. Sou conducted the data collection; I. Mujawar conducted the statistical analysis, and F. Gany supervised the study. The article contents have not been previously presented elsewhere. The authors have no conflicts of interest or financial disclosures to report. None of the authors have any conflicts of interests or financial disclosures to report. Lobo AP, Salvo JJ. Population Division of the New York City Department of City Planning. The Newest New Yorkers—Characteristics of the City’s Foreign-born Population. 2013. https://www1.nyc.gov/assets/planning/download/pdf/data-maps/nyc-population/nny2013/nny_2013.pdf. Accessed 1 Sept 2017. Schaller Consulting. The changing face of taxi and limousine drivers, U.S., large states and metro areas and New York City. 2004. http://www.schallerconsult.com/taxi/taxidriver.pdf. Accessed 1 Sept 2017. World Health Organization, International Agency for Research on Cancer. GLOBOCAN 2012: estimated cancer incidence, mortality, and prevalence worldwide in 2012. http://globocan.iarc.fr/Pages/fact_sheets_cancer.aspx?cancer=lung. Accessed 1 Sept 2017. Centers for Disease Control and Prevention. CDC WONDER On-line database, compiled from compressed mortality file 1999–2012. Series 20 No. 2R. 2014. http://wonder.cdc.gov/cmf-icd10.html. Accessed 1 Sept 2017. American Cancer Society. Cancer facts and figures. 2016. http://www.cancer.org/acs/groups/content/@research/documents/document/acspc-047079.pdf. Accessed 1 Sept 2017. US Preventive Services Task Force. Recommendation summary. 2014. http://www.uspreventiveservicestaskforce.org/Page/Topic/recommendation-summary/lung-cancer-screening. Accessed 1 Sept 2017. 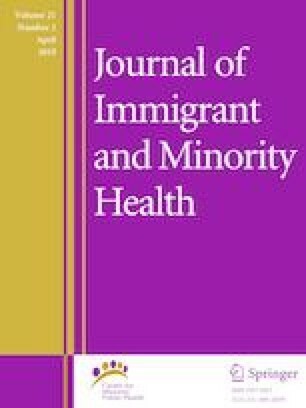 Schleicher E. Immigrant women and cervical cancer prevention in the United States. Baltimore: Women's and Children's Health Policy Center, Johns Hopkins Bloomberg School of Public Health. 2007. https://www.jhsph.edu/research/centers-and-institutes/womens-and-childrens-health-policy-center/publications/ImmigrantWomenCerCancerPrevUS.pdf. Accessed 1 Sept 2017. NYC Taxi & Limousine Commission. NYC Taxi & Limousine Commission - Current Licensees. 2014. http://www.nyc.gov/html/tlc/html/industry/current_licensees.shtml. Accessed 1 Sept 2017. Chinese Advertising Agencies. About world journal. http://www.chineseadvertisingagencies.com/mediaguide/World-Journal.html. Accessed 1 Sept 2017. World Journal. World journal - about us. http://www.worldjournal.com/page-about_us-e/. Accessed 1 Sept 2017. U.S. Department of Health and Human Services. The health consequences of smoking-50 years of progress. A report of the surgeon general executive summary. 2014. https://www.surgeongeneral.gov/library/reports/50-years-of-progress/index.html. Accessed 1 Sept 2017. Center for Disease Control and Prevention. Tobacco-related mortality. 2016. https://www.cdc.gov/tobacco/data_statistics/fact_sheets/health_effects/tobacco_related_mortality/. Accessed 1 Sept 2017. Centers for Disease Control and Prevention. What are the risk factors for lung cancer? 2016. https://www.cdc.gov/cancer/lung/basic_info/risk_factors.htm. Accessed 1 Sept 2017. New York City Taxi and Limousine Commission. Taxicab factbook 2014. http://www.nyc.gov/html/tlc/downloads/pdf/2014_taxicab_fact_book.pdf. Accessed May 2017. World Health Organization, International Agency for Research on Cancer. IARC monographs on the evaluation of carcinogenic risks to humans. Carbon black, titanium dioxide, and talc 2010, vol 93. http://monographs.iarc.fr/ENG/Monographs/vol93/index.php. Accessed 1 Sept 2017. Centers for Disease Control and Prevention. Cancer screening in the United States. 2014. https://www.cdc.gov/cancer/dcpc/research/articles/screening_us.htm. Accessed 1 Sept 2017. Centers for Disease Control and Prevention. Study finds racial and ethnic disparities in US cancer screening rates. 2012. https://www.cdc.gov/media/releases/2012/p0126_cancer_screening.html. Accessed 1 Sept 2017. The Association of State and Territorial Health Officials (ASTHO). Improving cancer prevention and control: how state health agencies can support patient navigators and community health workers. 2012. http://www.astho.org/ImprovingCancerPreventionandControl/. Accessed 15 Feb 2018.